East Timor held its fourth parliamentary election in May 2018. Kay Rala ‘Xanana’ Gusmão’s newly minted coalition, the Change for Progress Alliance (AMP), comfortably defeated the Revolutionary Front of Independent East Timor (FRETILIN), ending months of political crisis. The AMP comprises three parties: Gusmão’s old party, the National Congress for Timorese Reconstruction (CNRT); the People’s Liberation Movement (PLP); and Enrich the National Unity of the Sons of Timor (KHUNTO). 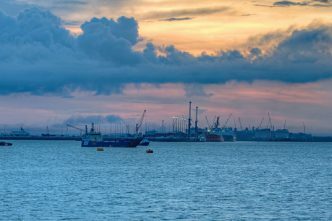 In the 2017 elections, the PLP’s strident anti-corruption campaign narrative—squarely aimed at Gusmão’s government—had raised observers’ hopes of a new policy-driven, progressive era in Timorese politics. But then the PLP joined the CNRT to contest the 2018 elections. If corruption was an issue in the 2017 election, it wasn’t in this one. Yet there are many who still hope that the PLP’s influence might constrain some of Gusmão’s more extravagant projects and persuade him to pay more attention to vital sectors such as health, education and agriculture. Others have even speculated that the anti-corruption stance of the PLP’s leader, the newly appointed prime minister and former guerrilla commander José Maria Vasconcelos (popularly known as Taur Matan Ruak), may lead to confrontation with Gusmão, precipitating the breakup of the coalition and new elections. That may be wishful thinking. 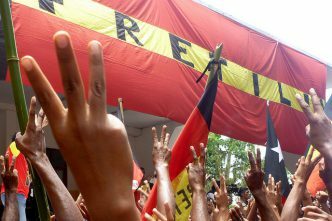 There are three largely overlooked but important factors to consider when analysing East Timor’s politics. One is that rhetoric about corruption is not all that it seems. Beyond a tertiary educated Dili elite, corruption is commonly interpreted as other people getting things that you’re not. That interpretation was cynically exploited by many party campaigners in the 2017 election, who promised to widen access to government pensions or scholarships, implying that governing party supporters received preferential treatment. Another factor is the nature of the PLP’s support base. Talking to the core of loyal young, urban and educated activists who drove Vasconcelos’ presidential campaign and the PLP’s 2017 parliamentary election campaign, it’s hard not to be impressed by their passion for social justice and clean government. This is the public face of the PLP. 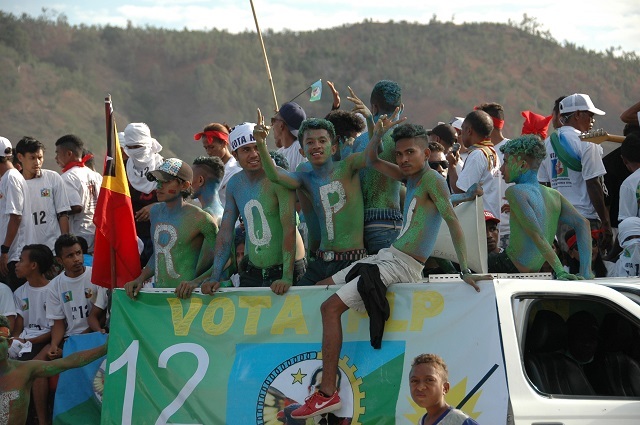 Yet the PLP also received about 40% of its vote in Vasconcelos’ rural birthplace of Baucau municipality. Apart from blood ties, he also commands the loyalty of a powerful and extensive veterans’ network in that region. The network has consistently delivered a large slice of the vote to Gusmão, then to the PLP and now to the AMP, so the anti-corruption narrative plays little part in this base of support. This support came at a cost, however, in terms of an exponential rise in veterans’ pensions as well as lucrative state construction contracts. This relates in turn to the third factor: networks are everything in East Timor’s politics. Policy in East Timor, at least under Gusmão’s administration, is driven less by party caucus–style debate than by a more informal process. Anodyne campaign rhetoric about issues such as corruption counts for little in winning votes. People want a new village hall, for example, scholarships for their kids or to get on one of the many pensions currently blowing out the budget. While unswerving resistance-era loyalties still decide a considerable chunk of the vote, many people are highly pragmatic. They will follow the political preference of the person or people they think will deliver direct benefits. Typically, these are local leaders such as village chiefs, who act as brokers between their communities and the state. 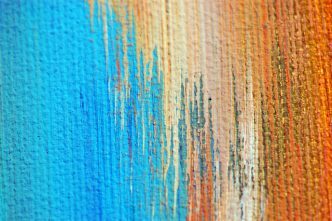 Such brokers can amass a substantial following and potential voting bloc, and so are in a position to bargain. They may change party preference more than once as a result. So while voting patterns at a regional or even municipal level are fairly consistent between the major parties, at a village or sub-village level it’s more fluid, with some villages changing hands at every election. That is where elections are won or lost. Recruiting these brokers, then, is critical to winning elections in East Timor. Campaigning also costs a lot of money. Party donors must be found and they expect a quid pro quo, and that’s what happened after the 2012 election. A range of lavish mega-projects awarded to party donors were embarked on with little regard for due process, feasibility or social benefit. These are the dynamics that not only drive government spending, but also shape the composition of government. Aptitude, qualifications and experience help, but are by no means a guarantee of a cabinet position. Loyalty to Gusmão, bringing in campaign cash and mobilising votes are still leading criteria. This is why East Timor doesn’t always get a government of the willing and able, or policy that’s driven by the public good. The new cabinet is a case in point. The president, Francisco Guterres (popularly known as Lú-Olo), has vetoed a proposed list of cabinet members as it contained 11 figures who are being investigated for, are facing, or have been convicted of corruption charges. While some have optimistically speculated that the action was instigated by Vasconselos, that’s unlikely. As prime minister, it’s hard to believe that he didn’t see this list and approve it before it was submitted. In any case, after the protracted political standoff since the last election, FRETILIN needs no encouragement to inconvenience Gusmão—the gloves are off. Vasconselos’ own integrity is not in dispute. Time will tell whether his integrity will be able to find expression in the current governing arrangement. 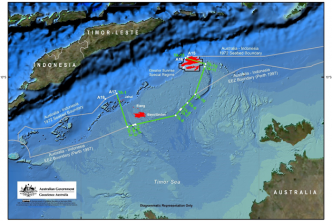 But for the moment, pragmatism, not principle, may offer a more useful guide to understanding East Timor’s future political and economic trajectory. James Scambary is a research fellow at the Alfred Deakin Institute, Deakin University, and a visiting fellow in the Department of Pacific Affairs, Coral Bell School of Asia Pacific Affairs, Australian National University. Image courtesy of the author.